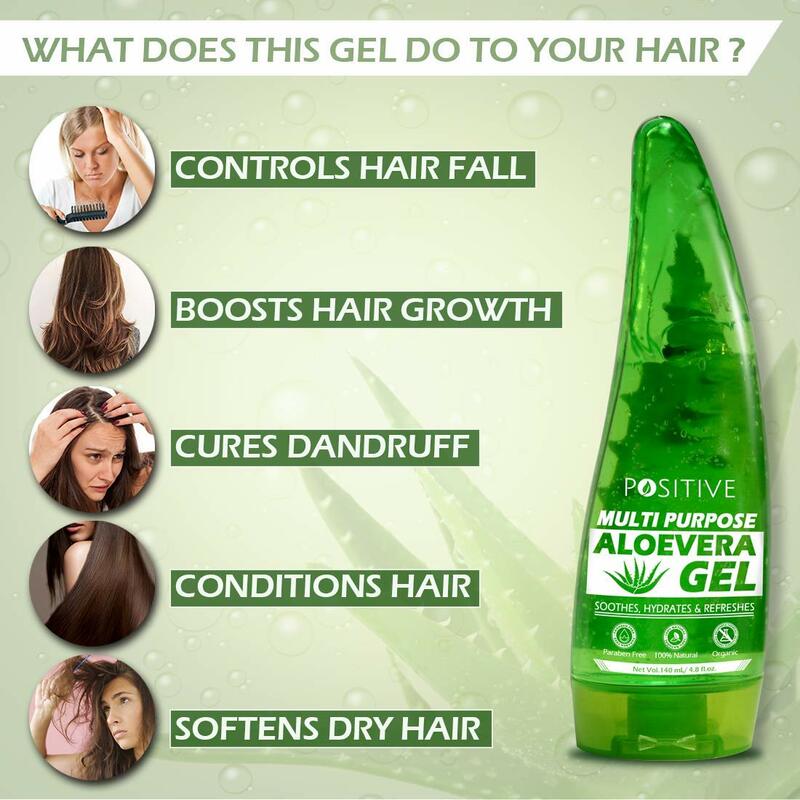 The Positive Multipurpose Aloe vera Gel is a 99% Pure gel extracted from real Aloe vera plants. When it comes to pampering the skin and hair, this best Aloe vera gel is all you need. Loaded with the goodness of real Aloe vera this Aloe vera gel for the face is fragrance and chemical free. Choosing Aloe vera for your skin can be a little tricky but when it comes of Positive, we deliver you the purest and finest aloe vera gel for skin all packed up in a single bottle. For years the goodness for Aloe vera Gel has been preached by various dermatologists and thus this dermatologist-tested aloe vera gel makes your life easier. Use it as an anti-acne gel, anti-dandruff hair mask, skin hydrating mask or moisturiser, we leave it up to you! Due to increased pollution, our skin and hair have to go through a lot. On topical application of this Pure Aloe vera Gel, a soothing effect can be examined on the skin and scalp. It leaves the skin free from unwanted organisms. A glowing face is just a step away! For medical uses, The Positive Multipurpose Aloe vera Gel can be used for the treatment for sores, particularly burns, including sunburns. According to medical news today journal, In one study of 30 women over the age of 45, topical application of the gel was shown to increase collagen production and improve skin elasticity over a 90-day period, another study found that Aloe vera reduced redness of the skin. Sounds like a perfect package isn't it?